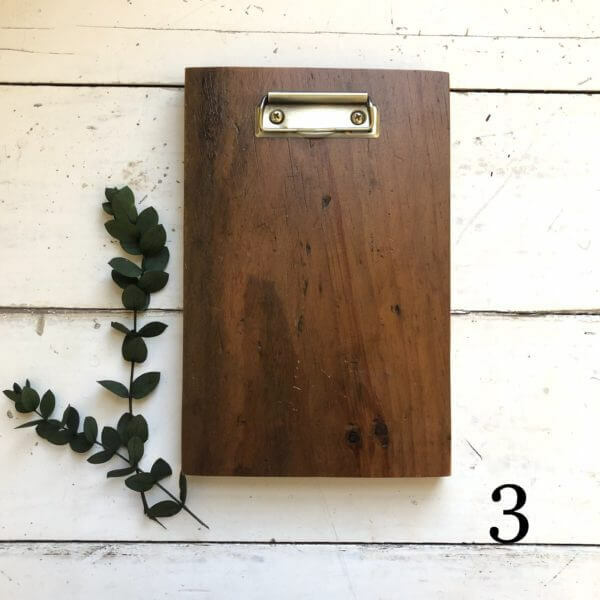 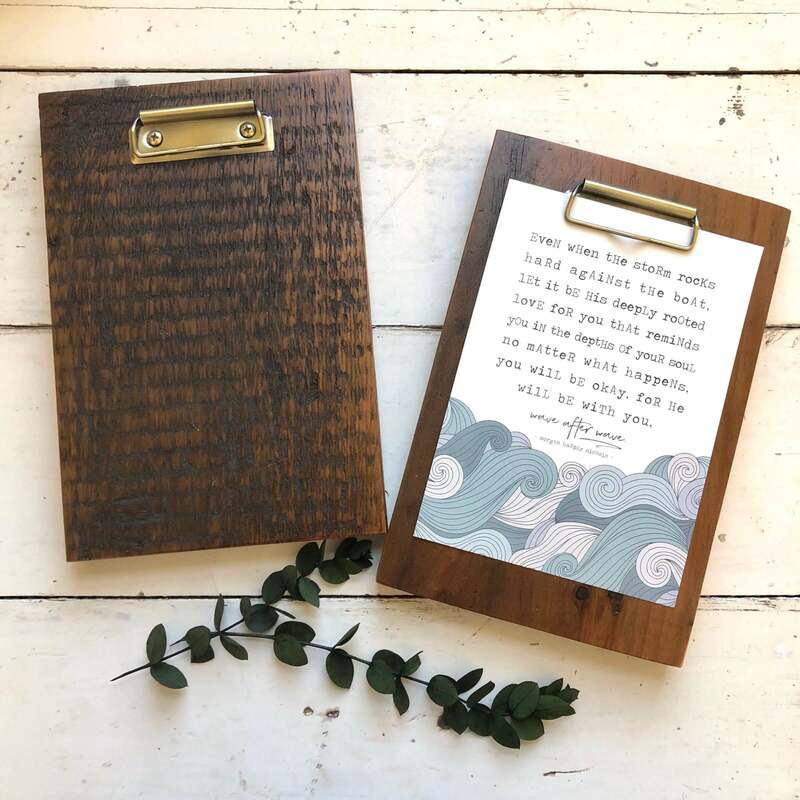 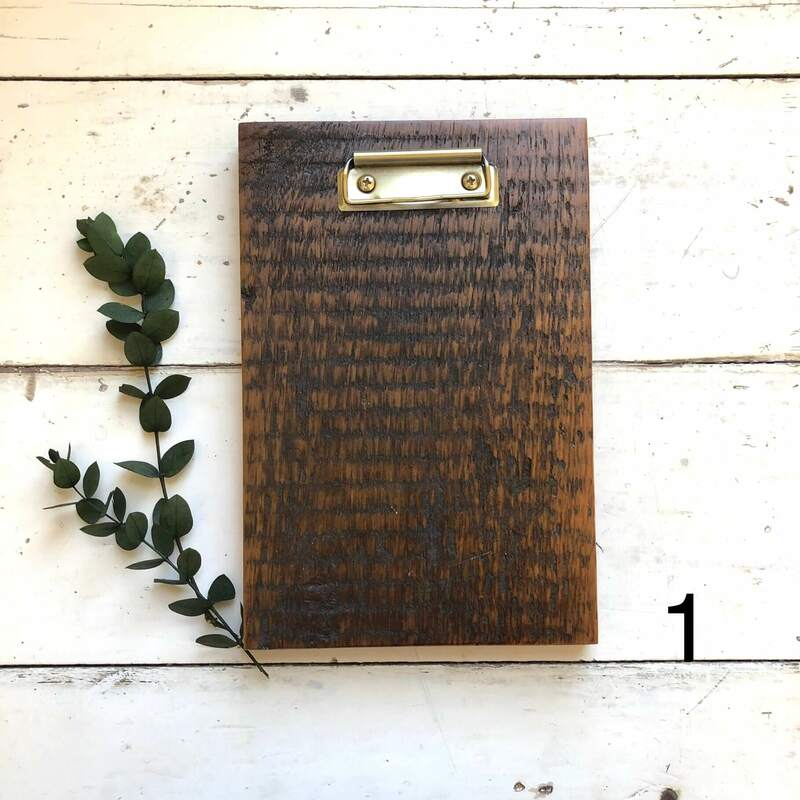 These clipboards are made from reclaimed wood highlighting the natural patina and imperfections of the wood. 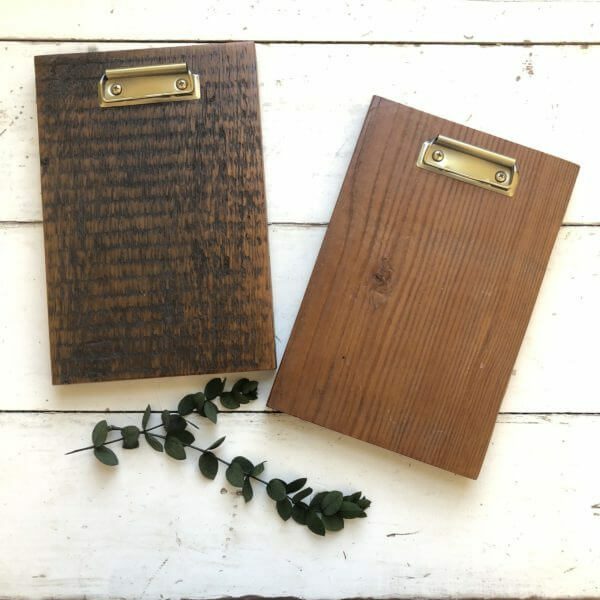 Each board is mounted with a brass or distressed black clip. The clipboard measures approximately 9″x6″ and holds a 5×7 print or picture nicely. 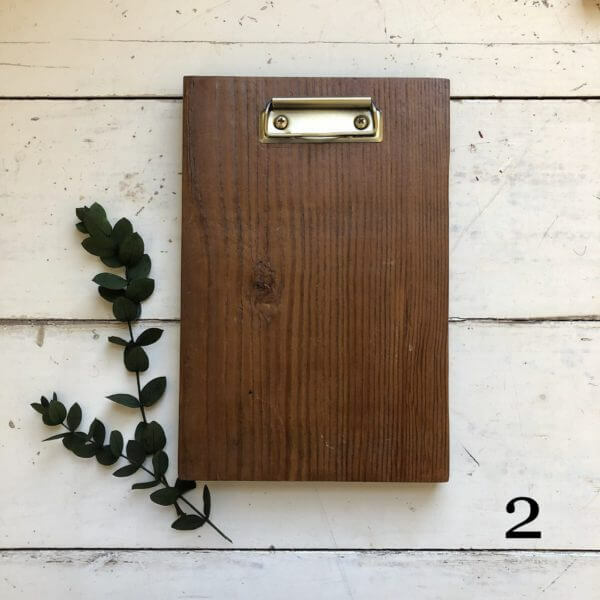 Each one also comes with a vintage square nail that can be inserted in the back to hold up your clipboard.